Nagpur: “Time has come to restore the lost glory of Indian cotton. Country just doesn’t need to increase its productivity and improve the quality of the cotton but it also needs to double the income of cotton farmers and non-farmers associated with the cotton industry by 2022. With the second technology mission on cotton in the offing all this seems possible,” said Kavita Gupta, the textile commissioner of India. Gupta was speaking at the valedictory function of the three day Asian Cotton Research and Development Network (ACRDN) meeting organized by the Indian Society for Cotton Improvement (ISCI) in collaboration with the International Cotton Advisory Committee (ICAC), the Central Institute for Cotton Research (CICR) and the Central Institute for Research in Cotton Technology (CIRCOT). The commissioner said she saw a lot of hope in the young scientists who have excellent ideas and believe in innovation. These scientists she said should ensure the traceability of cotton, evolve suitable bale tagging process, develop agro-climatic zone specific varieties and develop synergy between all various factors impacting cotton which will give the required momentum to the whole process. Cotton she said was one commodity which generated a lot of employment from the farmers to the industry. ‘Cotton is here to stay,’ she said. Stressing on bringing cotton to premier quality Gupta said that India needs to brand its cotton. She expressed her concern over the declining quality of cotton. 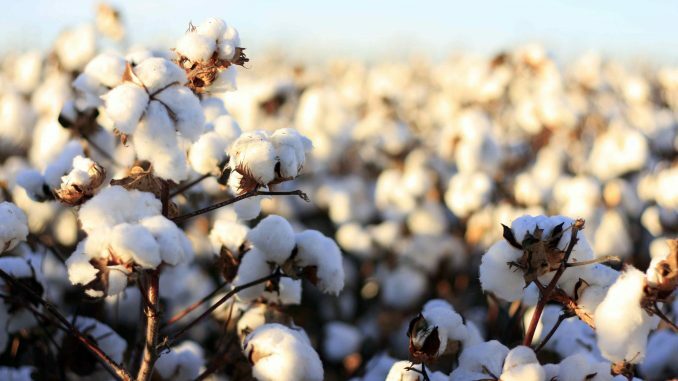 Contamination and adulteration were two major problems that need to be addressed immediately to bring cotton to international standards and be competitive. Although India had the highest area (36%) under cotton and was the biggest cotton producer the productivity was almost half (25%) of that of the major cotton growing countries. The average productivity in India was 500-570 kg/lint per ha as compared to world average of 900 plus kg/ha. Australia with highest productivity has an average of about 2619/lint kg /ha. India exports one third of the produce. “In Punjab there are farmers who produce 2500kg/ha. Why this can’t be replicated elsewhere,” said Gupta. Earlier C D Mayee, former chairman of the national Agriculture Scientists Recruitment Board (ASRB) in his valedictory talk stressed on the need for regulations to control the seed, fertilizer and pesticide market. He said cotton in India was victim of democracy. He demanded a board at national level to control the lacunae in the system. Mayee said that the value addition activities should be encouraged. These activities can fetch 30% income to the farmers. He said that there has been a good period for cotton with developments in technologies but despite this there has been a yield stagnation. Hence there is need to educate the farmers and the policymakers equally about changing the cotton production scenario in country. The high density plantation system (HDPS) was a perfect technology that has answer to increasing production. ‘We need to select the best cultivars for HDPS,’ he said. M V Venugopal from CICR presented the recommendations of the ACRDN meet. Keshav Kranthi, the head of the technical information section of ICAC Washington and K S Kairon, former CICR director were also present on the occasion. Sundar Murthy proposed vote of thanks.